Frank Drauszewski, Deputy Refuge Manager with the U.S. 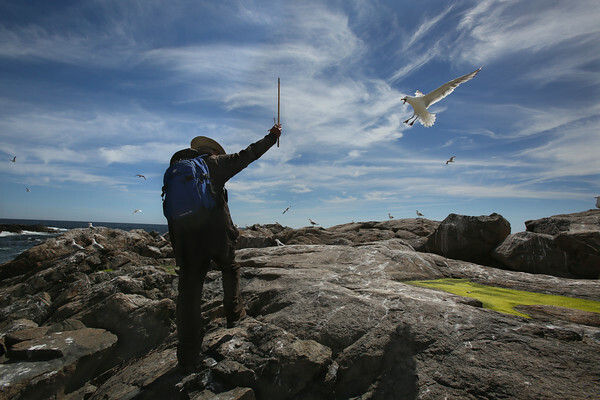 Fish and Wildlife Service, uses a stick to ward off an angry herring gull as he moves through the bird's nesting area in order to poke holes in gull eggs. Drauszewski and his team of biologists are trying to control the gull population in order to re-introduce the endangered roseate tern to the island.